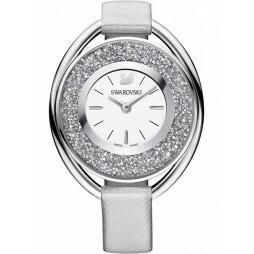 Swarovski have created this attractive contemporary strap watch perfect for adorning your outfits with day or night. 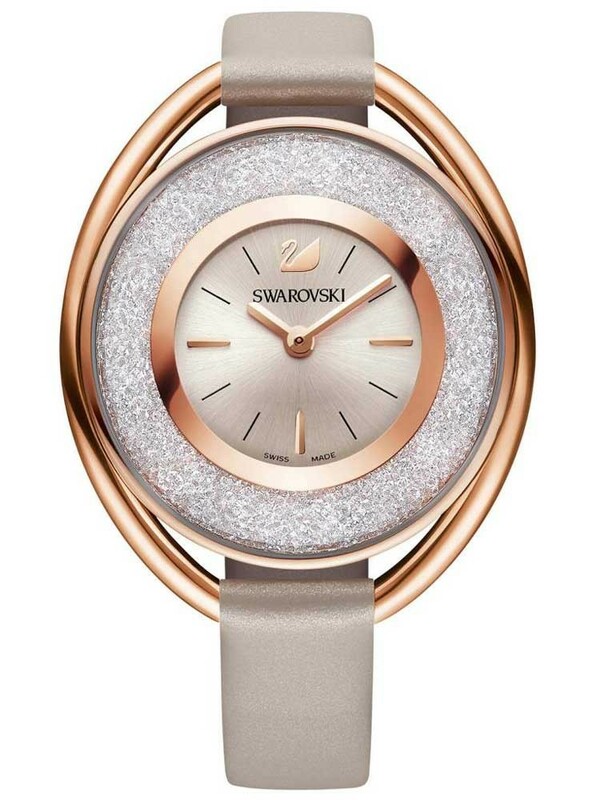 The gorgeous rose gold plated case features a dazzling crystal encrusted bezel with an elegant round silver dial and matching rose gold tone detailing. 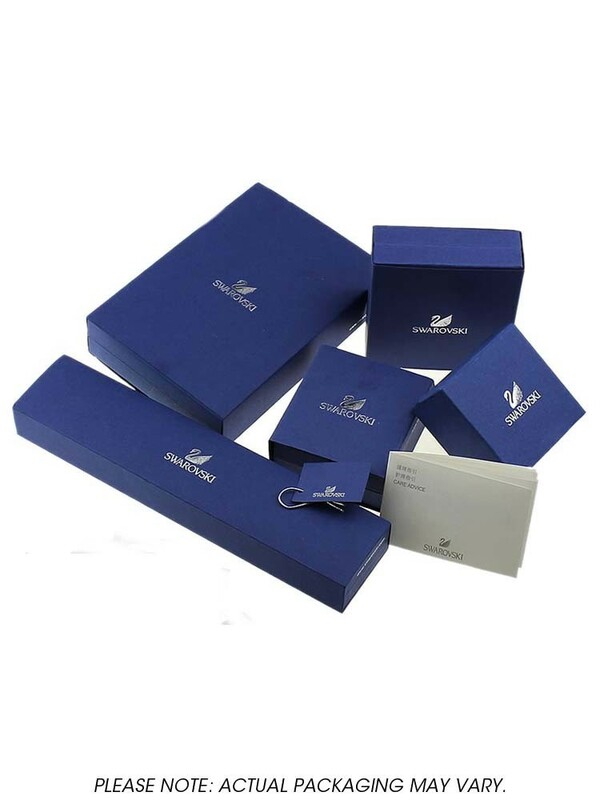 Complete with a slender grey leather strap it makes a wonderful gift for yourself or a loved one.